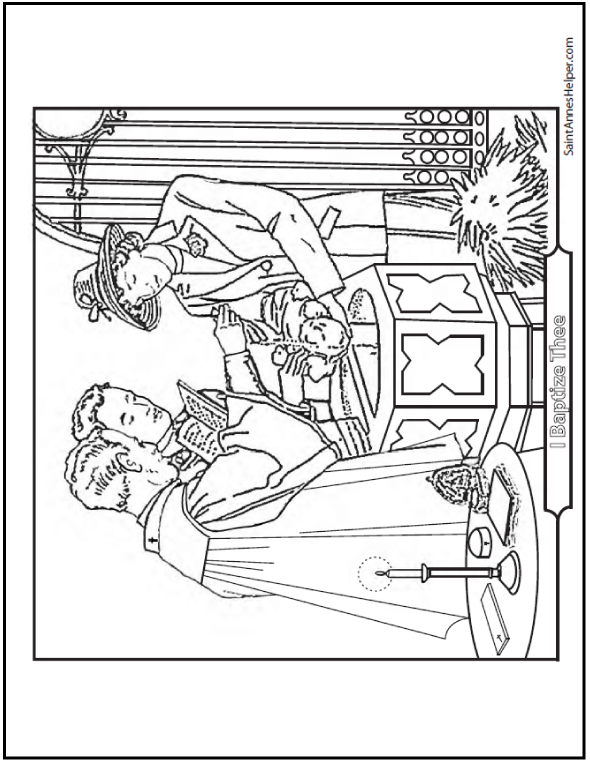 This Baptism coloring page shows the priest baptizing an infant while the Godparents witness the sacrament. This picture shows the baptismal font, vessels, candle, prayer books, and traditional church door. This PDF prints 8.5x11" single sided. This Baptism coloring page can help your children learn about the sacrament.